Just one month ago, Jimmy Fallon made the leap from his 12:35am Late Show time slot to the coveted 11:35pm Tonight Show slot, previously held by Jay Leno. On opening week, he stacked the show full of top celebrity guests and classic bits along with a fully integrated social media launch. Just as I have personally grown to be an avid Jimmy Fallon fan of his comedy, as a marketer I’ve become a fan of his social media strategy to build a community. Highlight your audience. There’s nothing people on social media love more than their 20 seconds of fame. 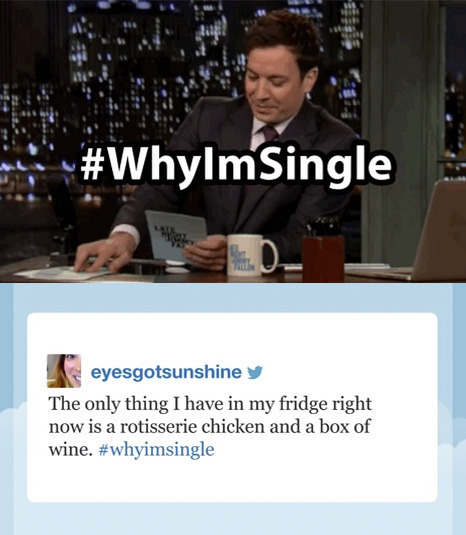 With Jimmy Fallon’s #hashtags , that’s exactly what he delivers. 90% of The Tonight Show segments are planned by a team of writers, but during #hashtags the audience writes the content. It’s no wonder why he kept it around after his move to the new time slot. Ask for feedback. This past St. Patrick’s Day, Jimmy Fallon introduced a new bit to The Tonight Show called Popular Mathematics. So, what did the Tonight Show host do after the segment aired? Asked for feedback! If you aren’t listening, how do you know what’s working? Modify content for different platforms. The Tonight Show team has social media covered. From tumblr to Twitter to Instagram, they know their audiences on each platform and what to deliver. The Tonight Show’s tumblr creates Gifs based off guests' best moments and Instagram delivers behind the scenes photos. You won’t see the same skit in the same way across their platforms. EXTRA TIP: Keep your usernames consistent! Every social media profile from The Tonight Show ends in "FallonTonight," removing the extra hurdles for the audience to find them. Disguise partnerships as a bromance. Two words: Justin Timberlake. Have you seen a better celebrity bromance? When you watch Justin and Jimmy you can see that they are creating entertainment for their own enjoyment, not just for self-marketing. It’s the organic collaboration that benefits them both and brands should think through before handing checks over for sponsorships or partnership deals. If you can convey your partnership effortlessly then your audience will relate to what you are delivering.